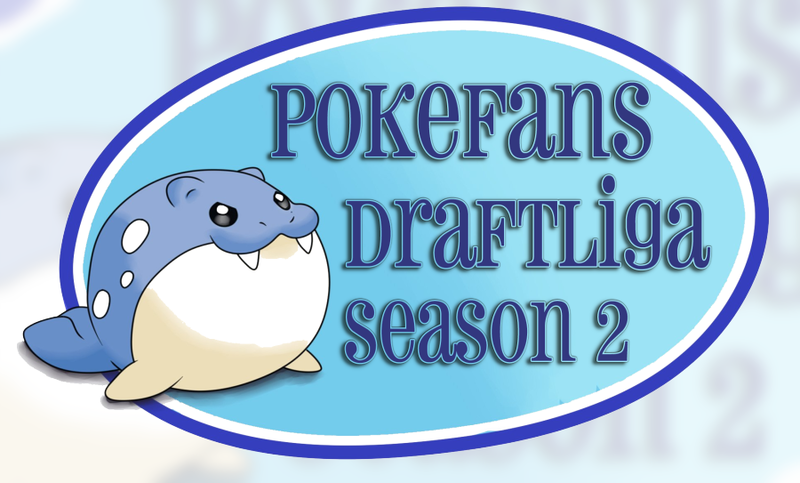 The start of the “Pokefans Draft League“ is getting closer and closer! During the sign-up phase we've been interviewing well-known players of the draft-format. Today's guest is aDrive, one of the world's most successful Pokémon-Youtubers and -streamers. Enjoy Reading! 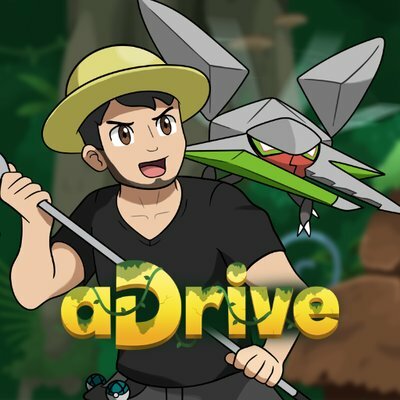 After initially starting his channel as a Call of Duty-Player, over time Dan, aka aDrive, probably became the most famous streamer of Pokémon on Twitch. Being in regular contact with his community, Dan fascinates his 275,000 Twitch-Followers as well as his 300,000 YouTube-subscribers almost on a daily basis. Meanwhile he creates Pokémon-related content professionally. Next to Let's Plays, his viewers may enjoy regular Shiny-Hunts just as Draft-League Matches. This interview was conducted by Jonkins99. Hi Dan! It is an honor for us to have you here as the first guest in our interview-series for our new draft league format. Why don’t you tell us something about yourself, for those of our readers who don't know you yet? Hi, my name is Dan, I also go by aDrive. 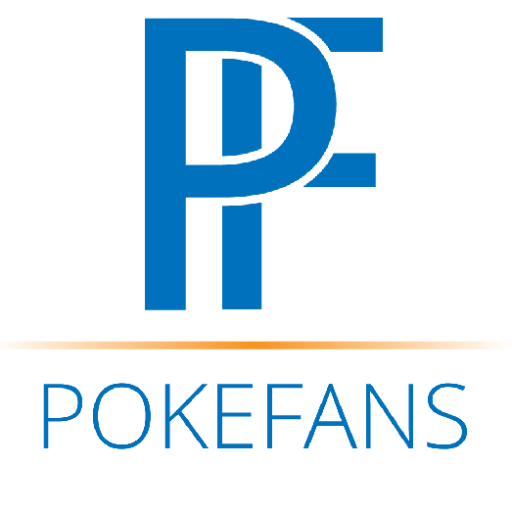 I'm a full-time content creator on twitch and YouTube focusing primarily on Pokémon content. I've been doing this full time for over three years now and I started creating content on YouTube eight years ago as a hobby playing Call of Duty. I was very lucky to find the niche in Pokémon and I've had a blast playing through various games and doing various Let's Plays, shiny hunting and battling and just being able to share my content with a lot of people. I'm really stoked about that and I'm just a really thankful creator overall 'cause I really enjoy creating and it's something that is just super fun to do every single day. I'm also a 27 years old, married and I have a puppy that I absolutely love named Lillipup which is named after the Pokémon of course. Let’s talk about the draft league format. You are battling for more than three years now in draft leagues and have won multiple championships. What's the attraction for you and your viewers in this format? I started doing draft league battles back in GBA season 3 which was the first kind of draft league format that existed. I was pretty stoked to join that draft league at the time for it was a very new concept on YouTube. I was a very small creator just getting started so I really enjoyed doing draft league battles for me. It's a unique way to do. You battle against people and it is almost structured like the NFL football where you do one Battle a week and where is a lot of focus around that one battle. I think it is cool, because it gives you an opportunity to use different Pokémon. I've always been attracted to the fact that lower tier Pokémon or lesser used Pokémon can be incredibly viable in this format where you know they often can serve as really good counters or checks to some of the bigger threats in the format whereas in standard, smogon formats or in VGC or whatever it's usually centralized to a smaller group of Pokémon that tend to dominate the metagame. A good example of this is Slowbro generally being considered to be better than Slowking. In most situations you're gonna use Slowbro over Sloking just because of his higher defense that lends itself more useful to the Movesets that it runs and kind of the current metagame. But in a draft league format Slowking is super viable and it is actually a really good Pokémon. There are other Pokémon, that have proven to be really useful in lower tiers. One of my personal favorites is Gourgeist. Gourgeist generally is not considered to be that good of a Pokémon, but in draft league battles it actually serves a really cool niche being a good ground resists, being a good spin blocker and having some utility moves like Will-O-Wisp. I have even seen myself and other people run Fire Blast to check things like Ferrothorn and similar stuff. By knowing what your opponent has on their team and by them knowing what you have on your team you are able to build a very specific set. In my opinion that is the most competitive way to play Pokémon. Obviously Showdown laddering and things like that is a great way to prove your ability to understand a current metagame, but draft league format kind of takes you a step away from that and allows you to use a lot of different Pokémon in unique situations. We can remember a lot of impressive fights of yours. For example, when you were winning the GBA championships vs SceptileMC with underrated Pokémon like Mega Aggron. I am sure our readers want to know, which of your battles has been the most memorable one for you. That's a good question man. For me there are two particular battles, that stand out to me, and they both go to championship battles. The match against SceptileMC George, who ended up winning the next two championships after the one I beat him in. That guy is a tremendous battler so that match alone was just really incredible in my opinion. And I really felt good about that match because I pretty much had him on the back foot the entire game with a mixed Salamence, and I remember I had to deal with Victini versus Miltank and things like that. There were some pretty tricky things that I had to handle in that match. But I remember dropping Draco Meteors with Salamence putting him on the back foot and making him have to go really defensive against some pretty offensive team of mine. So it was really cool to be able to win the championship in the GBA after losing the season prior and the championship to Miguel after kind of throwing the match. And then the NPA championship which I won last season was really cool for me too, because I did it with a team that was not like super powerful I thought. In general every piece of the team was super important and I have really valued the fact that I won the championship with Vikavolt with an incredibly unique set. I brought a Vikavolt that was slower than Magearna under Trick Room but faster than Gurdurr under Trick Room. I specifically designed it that way to count the Trick Room turns and it actually worked out perfectly. Vikavolt was able to kill the Magearna, the Trick Room ended and then I was faster than the Gurdurr on the following turn and ultimately won the game. It was a very specific set that easily could have not worked. But it just so happened to work perfectly being faster than Magearna under Trick Room but still faster than Gurdurr outside of Trick Room. So it was like I said a very unique kind of approach there. And those two matches really stand out to me being championship matches. Please describe one thing, that should be part of every draft league team. I think you really need to drop the team that you are excited to use. On paper you are obviously always looking for synergy, looking for Pokémon that work well together. Defensive cores, Fire-Water-Grass and Fairy-Dragon-Steel Core things that a lot of people throw around. But at the end of the day you need to be excited about the Pokémon you are using and start to find a comfort level with those Pokémon. If you can be comfortable with the Pokémon you are using then you are obviously going to have a better time and you are going to enjoy the matches more. When you're having fun playing draft League format you're ultimately gonna do better. That's how it works for me. When I hit a slump or I'm not really enjoying it or I'm rushing I tend to not really do as well. So for me that is really important. I think there are a few check boxes that you want to check off. I think it is important to get a good Fairy-type as I mentioned before. I think it is good to have a defensive core, two Pokémon that function really well together defensively. In the past I have used Mega Sableye, Chansey, Umbreon and Bronzong. You can mark all the check boxes off, fast Electro type, Ground type, Flying resist and Ghost resist. I mean those are things that are important but people are gonna do that regardless. So I would recommend just trying to drop the Team that you're excited about and use Pokémon that you've wanted to use or that you feel comfortable with. Lately I have been drafting teams that kind of have a mixture of new stuff and old stuff, to build a team that I feel good with. In draft leagues teambuilding is at least as important as the battle itself. How do you proceed when you are building your team and how much time do you spend for it in average? I think you hit the nail right in the head there. I really believe that team building is just as important as the battle itself if not more important. If you are prepared for the match, and feel comfortable, and you know what your opponent is going to bring and you feel comfortable with what you're bringing, and you have an idea of what to do in different scenarios you are goingto just have a much better match. And I found that I do not do a ton of practice matches, but when I do I tend to play better as well because I'm able to anticipate different moves and scenarios that may happen. But the way I go about my team building is: I have a team building office that I work with, so I have about four or five guys that I generally bounce ideas off. I do build my teams myself but I do have a couple of friends helping me with different ideas, making sure I consider every option and so on. I'm able to determine what the big threats are and maybe things I might have missed, making sure I have an understanding of how to handle that and how to what Pokemon needs to be saved in order to keep that Pokémon from beating me or sweeping me or whatever. It may be so that when it comes to team building that is generally my approach. I tend to spend two to five hours on a team build, but it iss usually spread out over the course of a week. I usually look at the team build and I see the two teams that are thrown out. I start to look at what things do I definitely want to bring and then what things I maybe want to bring, and I start to try to eliminate the eleven Pokémon down to six or seven. Then I make the decision from there. I determine what the roles are gonna be and kind of go back and forth on that. A lot of times if I see a team build right now I'm doing NPA. I'll be like: "Oh you know what? This team, Mega Mawile just destroys them." That is easy. I know I'm bringing Mega Mawile. I know I'm gonna bring Iron Head and Play Rough and then I'll work out the EV-spread later. I take it one piece at a time and try to figure out what the best six are to cover their threats and also to offensively put them in a bad spot. Then I decide the full Movesets and beside the full EV-spreads usually last. One of our favorite topics in the draft format are creative movesets. Do you remember a set of an opponent of yours you still get nightmares from? And what is your favorite creative moveset you used for yourself? Yeah, in recent memory a set that my opponent brought against me was a Choice Scarf Seismitoad. He brought it against me in the regular season and in the playoffs as well and I still have a hard time understanding why. I had Cresselia and Celesteela on my team so I felt like the Choice Scarf Seismitoad didn't really make a lot of sense against me. It was not like a crazy set but it worked out for him both times. He was able to not only set Stealth Rocks in the playoffs but more importantly in the regular season he was able to beat my Mega Houndoom and knock it out when I thought I was gonna be able to kill him with Solar Beam, kind of naive on my part. I should have realized that but I already was on the back foot and Scarf Seismitoad is pretty obscure. There's been a bunch of different sets that people have brought and that is one of the things I love about draft league format: The creativity. In terms of a set that really stands out to me is that I have played ShadyPenguinn in GBA Season four or five, and you know playing Shady Penguin is a huge deal. I was a very small creator at the time and I wanted to make sure that I could put up a good fight against him. I looked up to him a lot. So I ended up bringing a Mega Sableye set that had Max Attack with Sucker Punch and Fire Punch as well. I anticipated that he would lead with Azelf on his team with Dazzling Gleam to try to handle my Mega. So I led with my Sableye and I was able to Sucker Punch and knock out the Azelf on the first turn. Then he went into his Scizor and I knew that he was going to anticipate me to go for a Will-O-Wisp on a Scizor. So I went for a Fire Punch to break the potential Substitute, which is what he ended up doing. He went for Substitute, I broke his substitute with Fire Punch and then I ended up clicking Knock Off anticipating him to switch out into his Milotic and he did exactly that. That match I also brought a Sunny Day Mew with Heat Rock. Against his Conkeldurr, I was able to set up the Sunny Day and then I was able to send out a Vileplume with Chlorophyll to end up potentially sweeping his team what ultimately gave me the win in that match. And I just remember that match because there was so much prep, that went into that game and so much anticipation of saying "Okay, I know that he's gonna do this thing". So I predicted the lead properly, I predicted the sub on Scissor for Will-O-Wisp, I predicted the switching to Milotic and then I predicted that Vileplume was going to have a really good matchup against his team in Sun. Thank you very much for this interview! Do you have anything else you want to tell us? Yeah, my final words are: When it comes to draft League format - and competitive Pokémon in general - it is really important to have fun. It's important to make friends and to use Pokémon you want to use. I always get excited about trying out different Pokémon. So go out there, prepare, have fun and, you know, show respect to your opponent and just try to get wins out there. Thanks so much for the time. I hope you guys enjoyed it. And that's gonna be it for me guys. My name is Dan, I also go by aDrive. I'll catch you guys next time, peace. Did we capture your interest in aDrive's videos and streams? Don't miss any of his content by having a look at his channels!